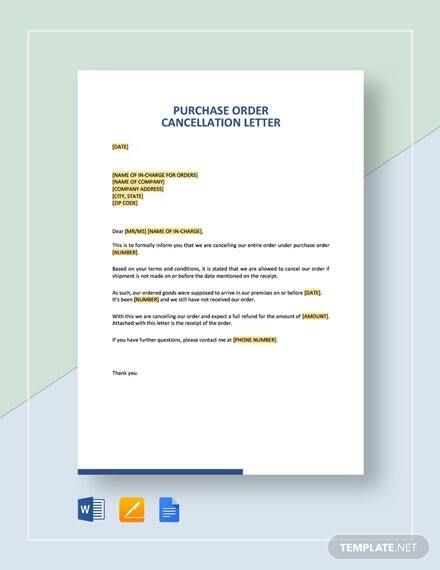 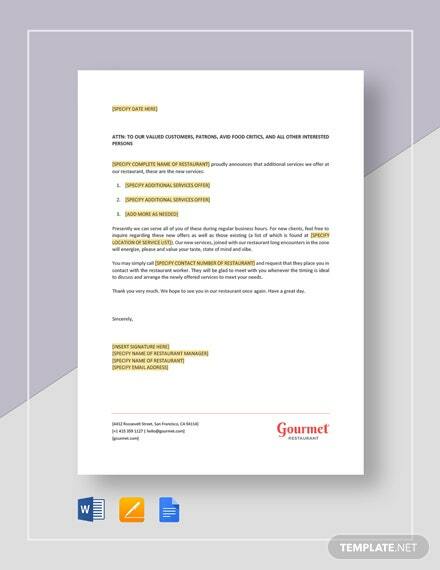 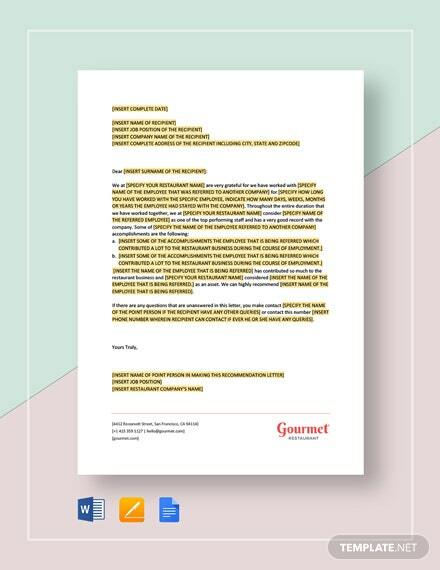 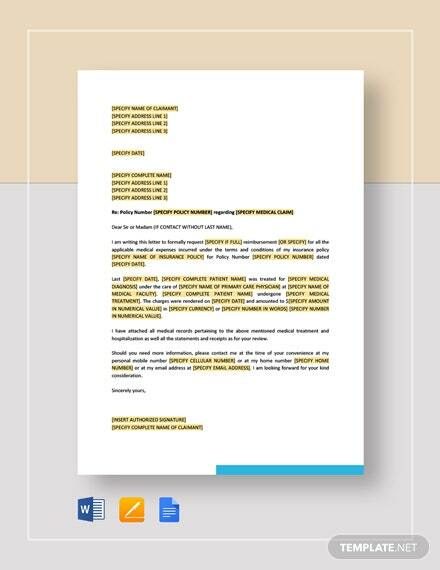 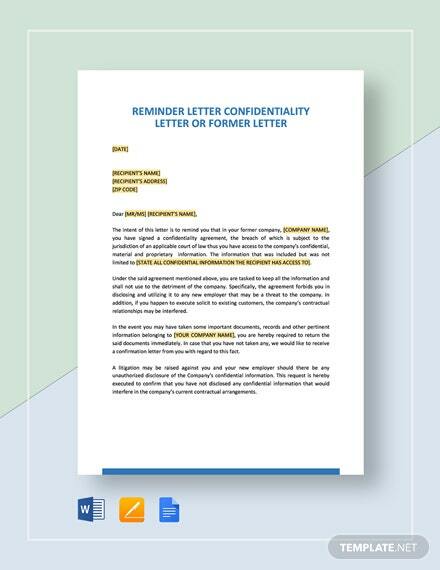 A high-quality letter format that you can download for free. 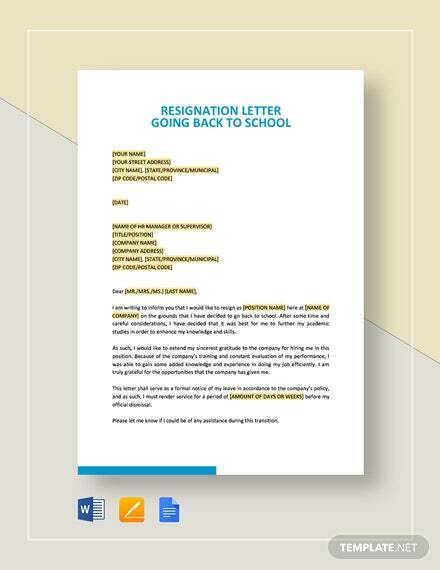 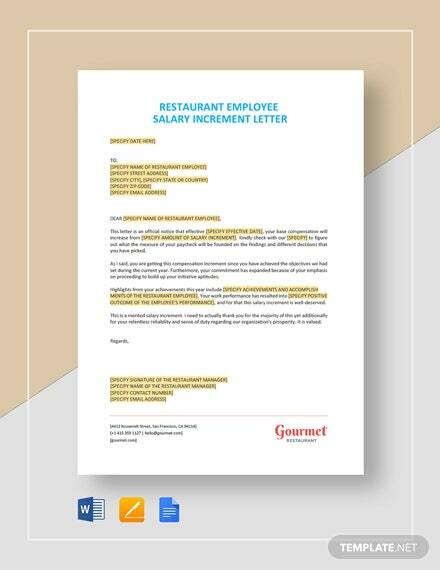 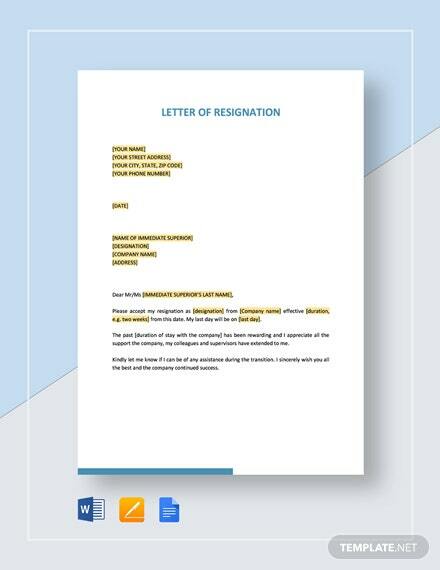 This file allows you to write a formal and effective resignation letter. 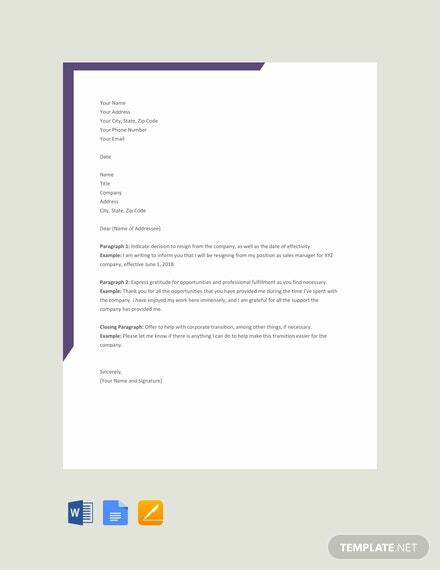 Easy to edit in multiple formats including MS Word, Pages, and +More Google Docs.